Target stores are a great place to consider when designing your ideal dorm room. Not only does Target have locations in almost every city nationwide, but they also sell awesome accessories at low prices. 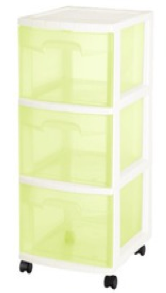 A dorm room’s number one necessity is a quality set of organizers, and thankfully, Target stores feature several different organizers in a variety of colors. 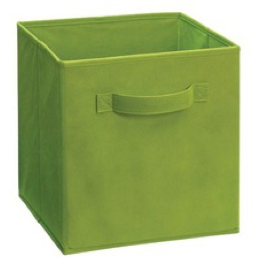 This green fabric drawer is sold for $6.99 and is available in several other colors. It is perfect for containing snacks or DVDs for movie night. Also available at Target are the Sterilite 3-Drawer Carts, sold for $10.99. It is sold in a variety of colors, and these organizers are essential to store make-up, lotion, school supplies and even clothes! As the fall semester approaches, organizers are also great for packing and lugging your college necessities to school. Home Goods is a store in the TJ Maxx family that specializes in interior design on a dime. If you’re looking for affordable prices and stylish home necessities, Home Goods is the perfect one-stop shop. With options varying from brand-name bedding to cozy towels, it is nearly impossible to leave Home Goods empty-handed and guaranteed that you will find what you’re looking for. Proof? In my search for college essentials, I was able to find these items all at Home Goods. Some might say it’s the most wonderful place on Earth. Reason? Well, perhaps it’s the fact that you can buy two hot dogs, a bag of chips and a medium pop for $2, but mostly because every piece of furniture you could possibly fathom is housed in this Swedish Disneyland. College students would be absolutely crazy to skip over this stop in their mission for cheap college essentials. What are some great finds at IKEA? 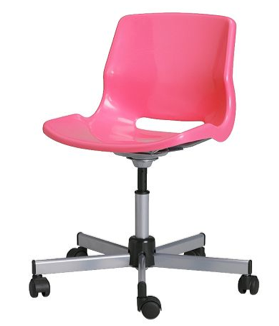 Well, if you’re looking to swap out that grimy dorm chair that probably should have been retired 20 years ago, one great desk chair is the “Snille.” Priced at $24.99, this chair is comfortable and stylish, and it comes in black, blue, green, pink, red and white. Versatile and affordable—perfect! Although the primary purpose of college is school, textbooks aren’t necessarily the most eye-catching décor. A way to reverse this effect and keep your schoolwork organized is with these great “Kassett” organizers. 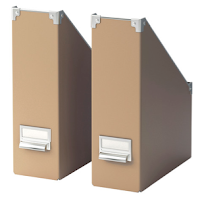 For $4.99, you receive two organizers, and whether you use them for textbooks or for magazines, is up to you. The final touch for a perfect desk is a lamp. While some college students may go the route of buying the typical bendable desk lamp, the “Orgel” table lamp from IKEA is anything but typical. The “Orgel” provides decent lighting that isn’t too bright and doesn’t take up valuable space on your coveted desk. 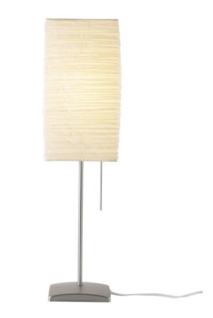 For $9.99, this is a lamp that you cannot pass up. Though these three spots are not the only places you can find great college décor for your dorm room or apartment, they provide the basic necessities at prices your parents will love. The thrill of the hunt paired with a stunning new space will get you itching to move in. Is it September yet?